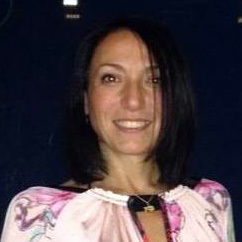 Giorgia Zunino is Strategic Project Manager for ASL ROMA1 a public health provider, the largest public healthcare institution in Rome Italy. She is Complexities Architect (Futurist), Hospital Designer, Independent Researcher and NATO Expert on Future Trends and Human Factors in Medicine. Giorgia is also Scientific Director and Professor at LABA Brescia Italy at the International interdisciplinary Master "re-Design Medicine: the essential tool to design, shape and transform Healthcare world”. Her Master course gain strategic partnership with Innovation Center Labs and Universities around the world. After 15 years as Hospital Designer in a General Hospital in Genova she moved in Rome on next ambitious research project: "Building a modern SHANGRI-LA: a vision where boundaries between humans, building and device disappear: sensing (data), intelligence react adapting environment for empowering people and improving good health behaviors”.